This fabulous soup is from Rick Tramonto, the owner of the famous TRU restaurant in Chicago. 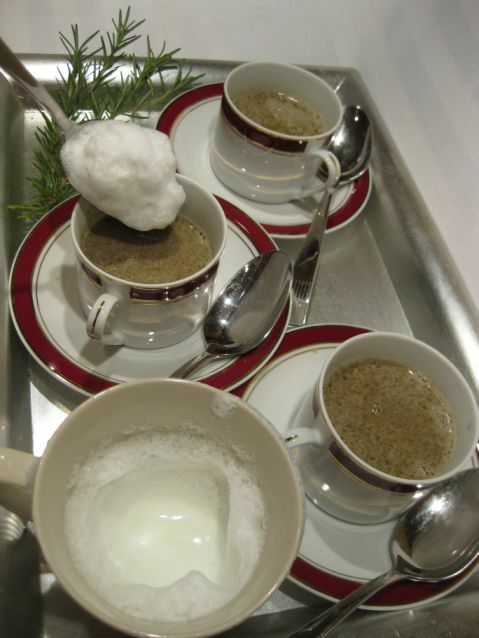 He called this soup "Totally Insane Black and White Truffle Soup", which can be found in his cookbook TRU, is heart-stoppingly extravagant with the precious truffles that are rare, expensive, and are mainly found in the wild. 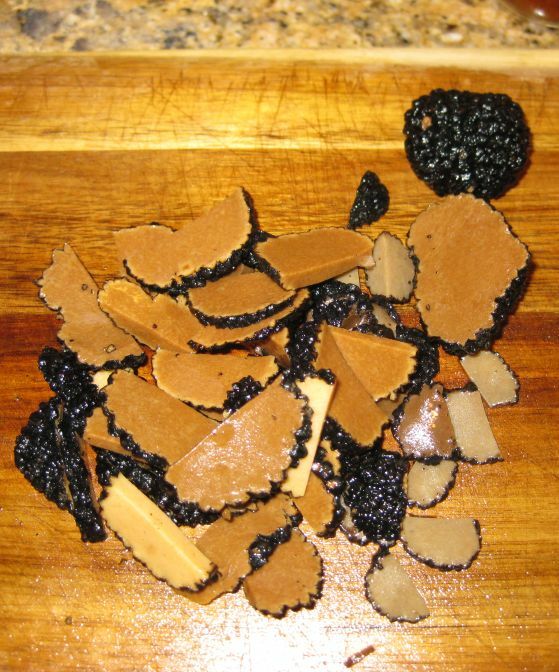 The most prized black truffles are from the Perigord area in France while the best white truffles are from the Piedmont region of Italy. 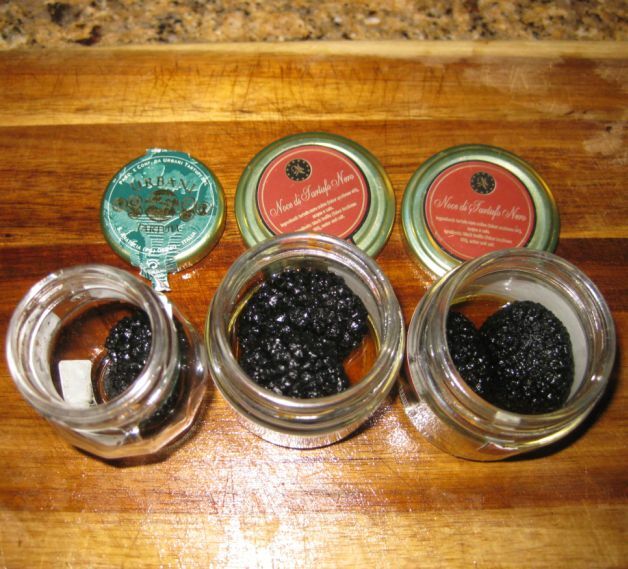 Fortunately, the recipe called for tinned black truffles which I was able to find at Andronico's but I was only able to find 3 oz and the recipe called for 7 ounces but 3 oz will do. The soup came out to be amazing! The flavors are just to die for. The soup is earthy, rich and the truffles oil and truffles really shines through. 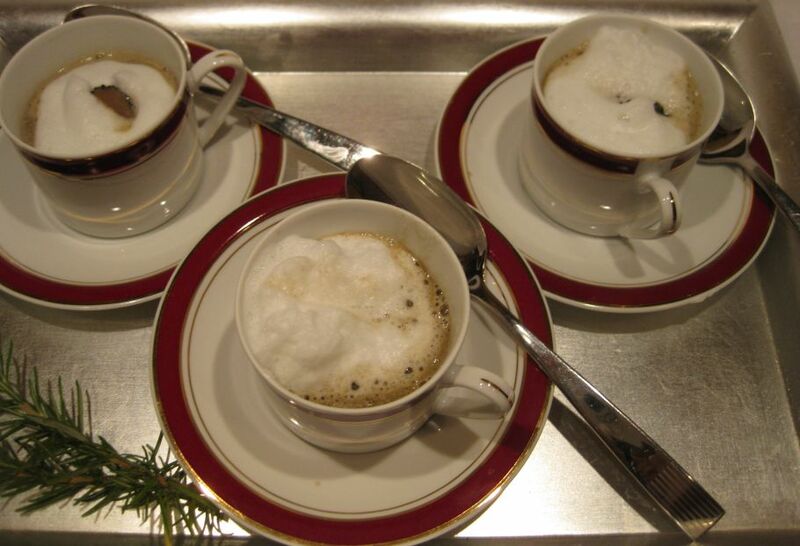 I served the soup in a small coffee cup because the soup is very rich and you want to savor every drops of this soup. 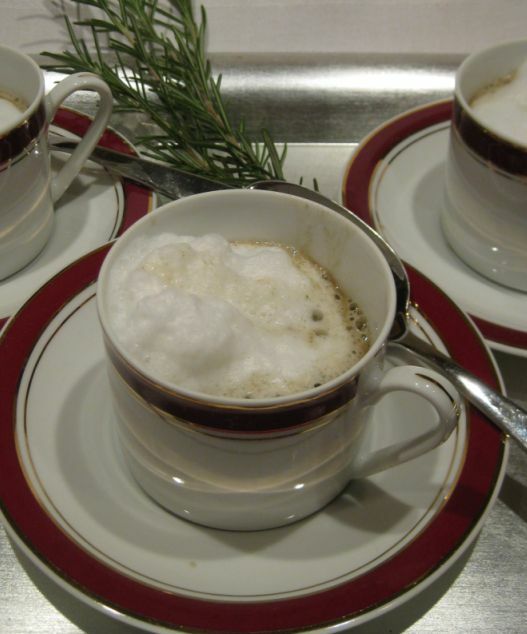 I have a hand held milk frother and was able to get enough foam to serve on top of the soup! The soup is labor intensive but it is worth the effort! My mouth is still watering as I am looking at this picture. 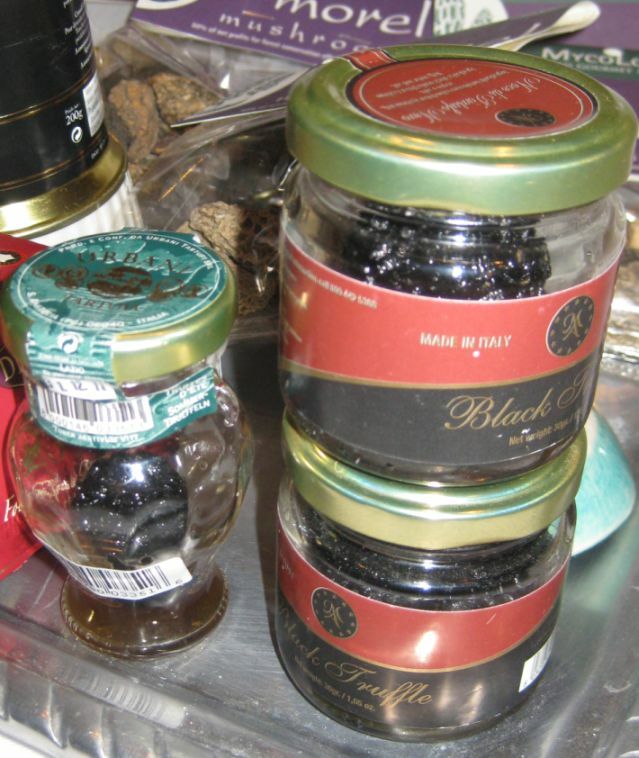 Truffles inside glass jars. I was able to buy only 3 oz of black truffles and that's all they have! Plan ahead and make the mushroom soup one day ahead. 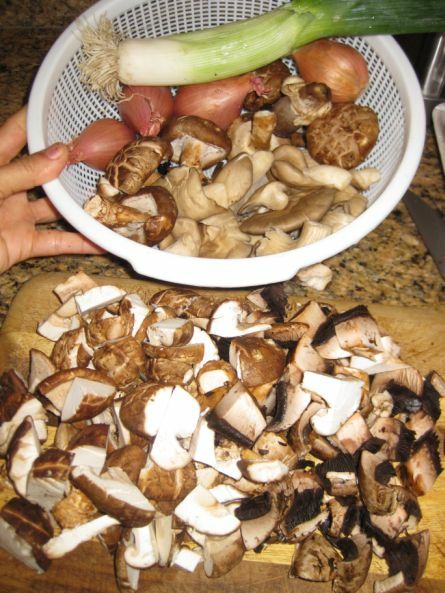 Chop all the mushrooms . 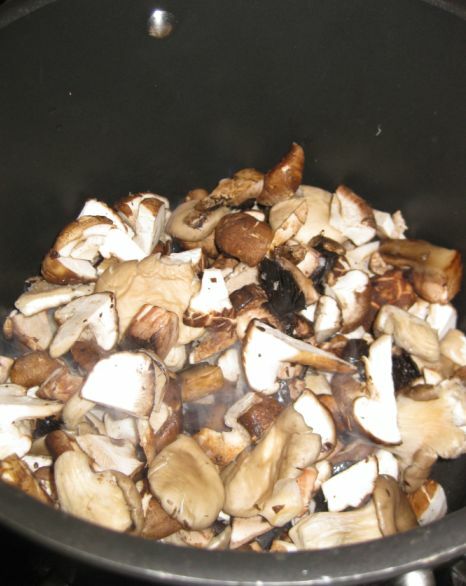 Heat the oil in a large pot over medium heat and when hot add the mushrooms and toss the mushrooms in the oil. 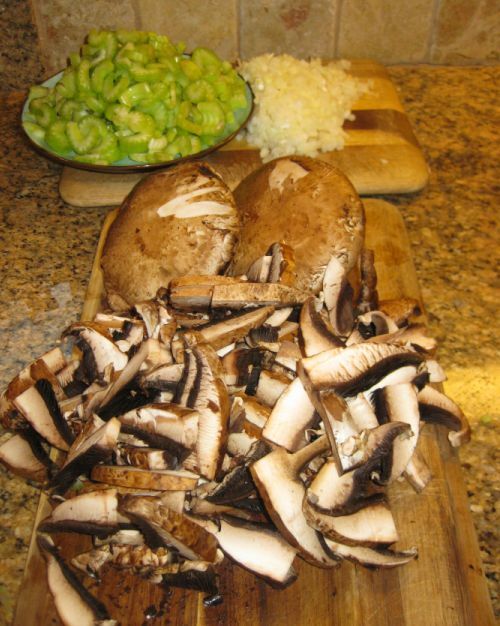 Reduce the heat to medium low and sauté the mushrooms for 8 to 10 minutes or until browned and softened. Next, add the leeks, shallots, thyme and tarragon and cook for another additional minute. 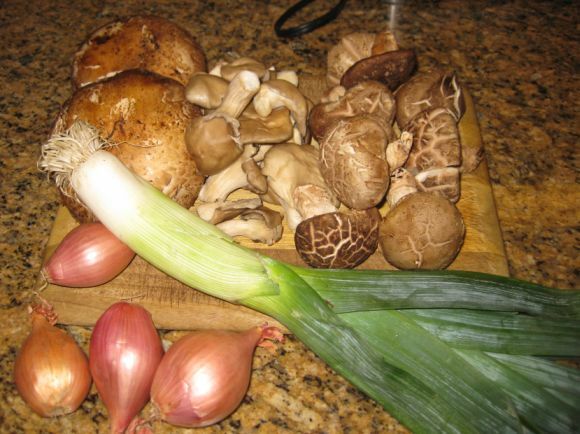 Reduce the heat to low and cook for 5 minutes or until the leeks and shallots have softened without browning. Add the wine and raise the heat to medium high, while stirring the bottom of the pan. Simmer the wine for 8 to 10 minutes or until most of the wine has evaporated and the bottom of the pan is almost dry. Add the water and bring to a simmer. 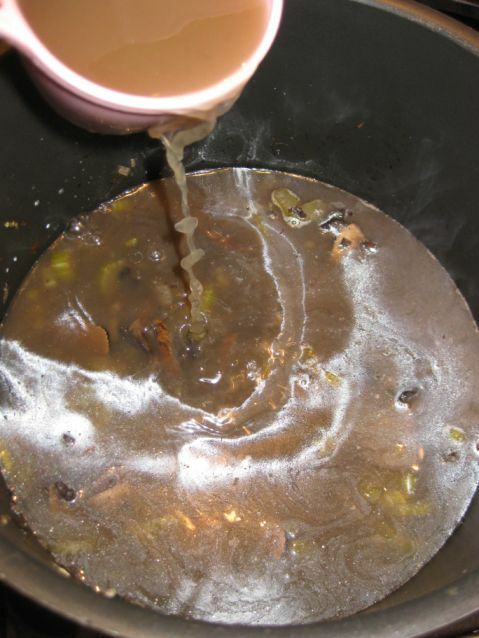 Reduce the heat to low and simmer the stock for 30 minutes. 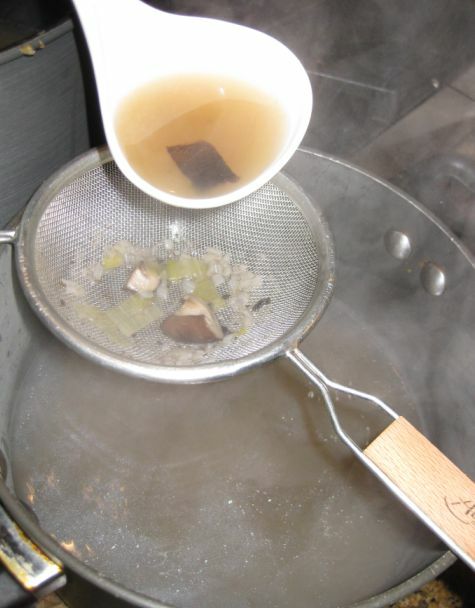 The next day you can now prepare the soup since you already have the broth. 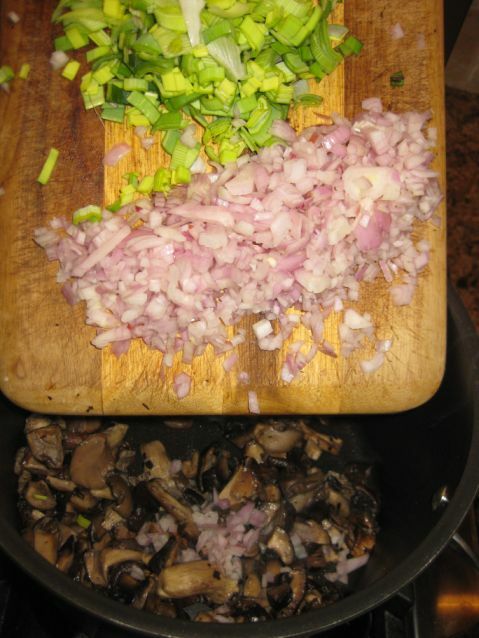 Cut the mushrooms into slices. 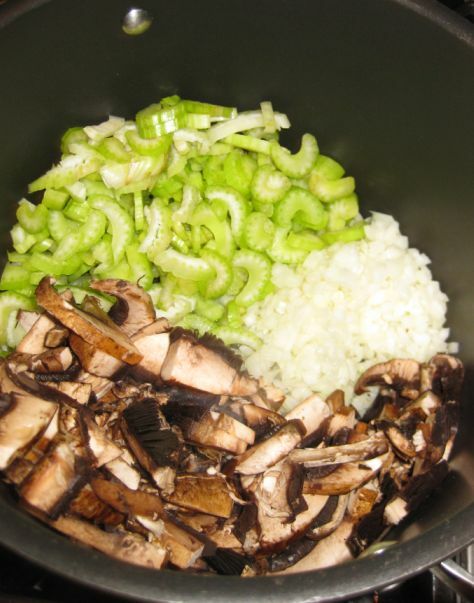 Heat the oil in a large pot and add the onions, celery and Portobello mushrooms and cook for 7 to 8 minutes. Opening my precious black truffles. 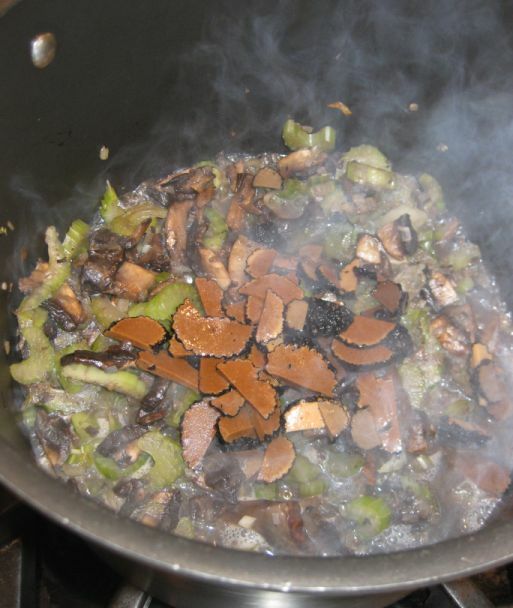 Adding the truffles and wine into the pot and cook for 10 minutes or until the liquid is absorbed. Stir the bottom of the pan to deglaze . 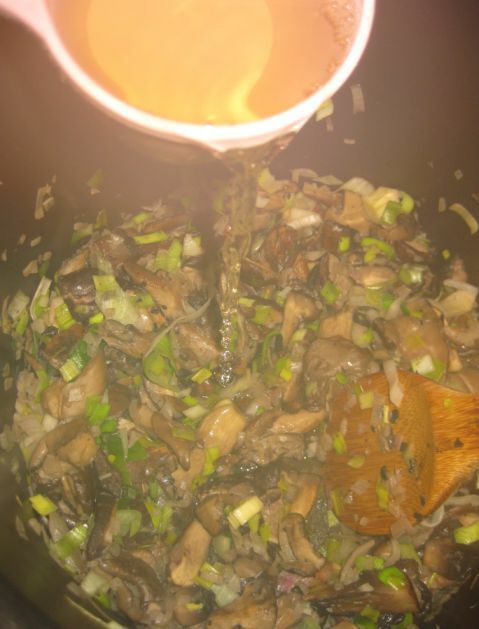 Add the mushrooms stock, thyme, and rosemary and bring to a simmer. 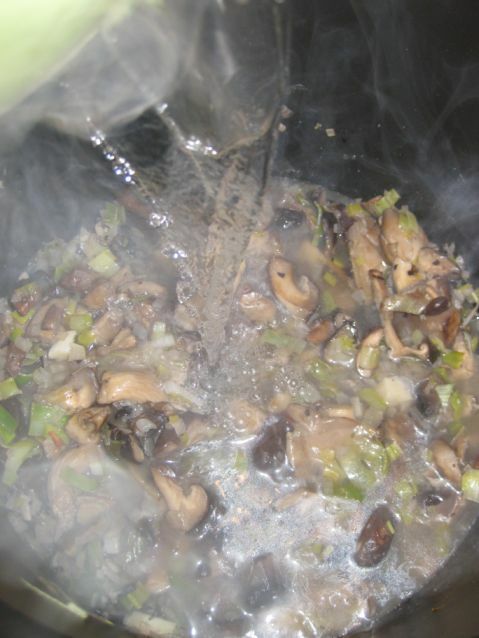 Bringing the soup into a simmer for 40 to 50 minutes, Transfer the soup to a blender an puree until smooth. Do this in Batches.. Strain through a chinois back into the sauce pan. 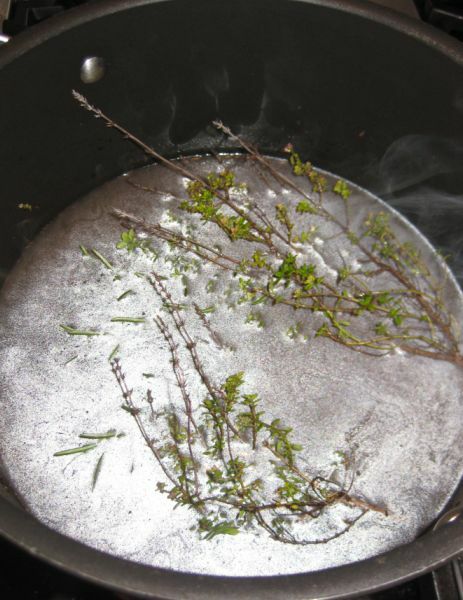 Return to medium heat and bring to a gentle boil. 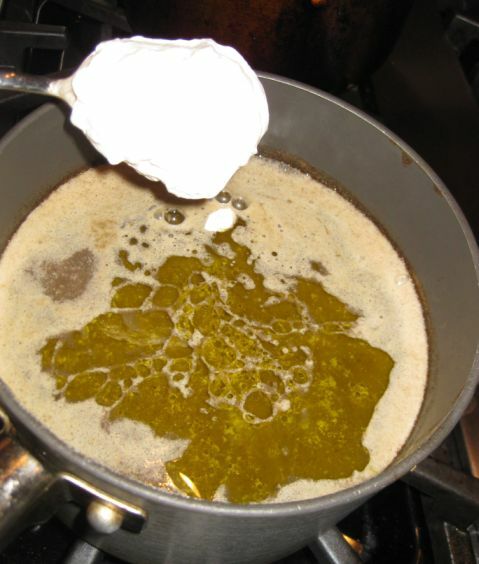 Whisk in the truffle oil, whipped the cream, and butter until incorporated. Season with salt and pepper. 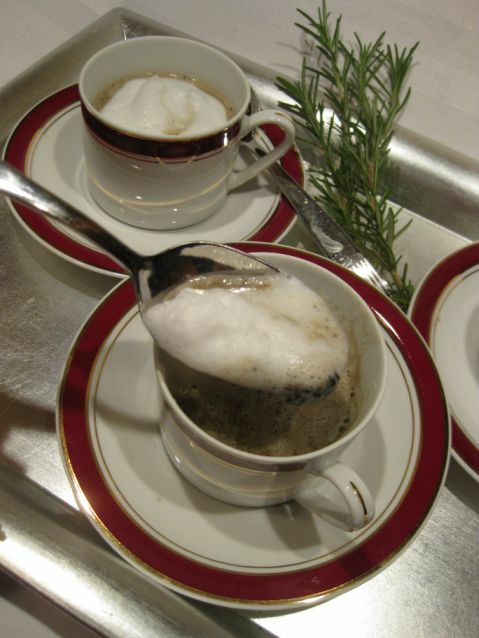 Ladle the soup into demitasse cups and garnish with foamed milk.